November 21st: What's On Today's Show : Blog Of The Nation In the first hour of today's Talk of the Nation: New sanctions against Iran after the latest report on the country's nuclear program. Plus NPR's Ron Elving on the failure of the supercommittee. In today's second hour: The profile of a sexual predator, and the Opinion Page. The United States, Canada and the U.K. are expected to impose a new round of sanctions on Iran today aimed at halting its suspected nuclear weapons program. The announcement comes on the same day the International Atomic Energy Agency is holding a summit on nuclear proliferation in the Middle East. Iranian officials declined to attend those talks. And some in Israel's government continue to warn of a possible military strike on Iran. Host Neal Conan speaks with Stephen Walt, co-author of "The Israel Lobby and U.S. Foreign Policy" and Trita Parsi, president of the National Iranian American Council, about whether or not stronger sanctions and diplomacy are enough to encourage Iran to give up its nuclear ambitions. Deficit Supercommittee Stumbles, What Now? After months of deliberations, the so-called deficit supercommittee is poised to admit failure. The 12-member bipartisan committee was charged with cutting more than $1 trillion from federal spending over ten years. Without an agreement, automatic spending cuts totaling $1.2 trillion are set to take effect in 2013 and will affect a broad range of defense and domestic spending. While Democrats and Republicans trade blame, politicians worry about the political fallout going into an election year, analysts fear the effects of failure on financial markets and questions remain about what to do about the federal deficit. NPR senior Washington editor Ron Elving talks with Neal Conan about the supercommittee and the implications of its failure to bridge the partisan divide over taxes, federal spending and the national deficit. 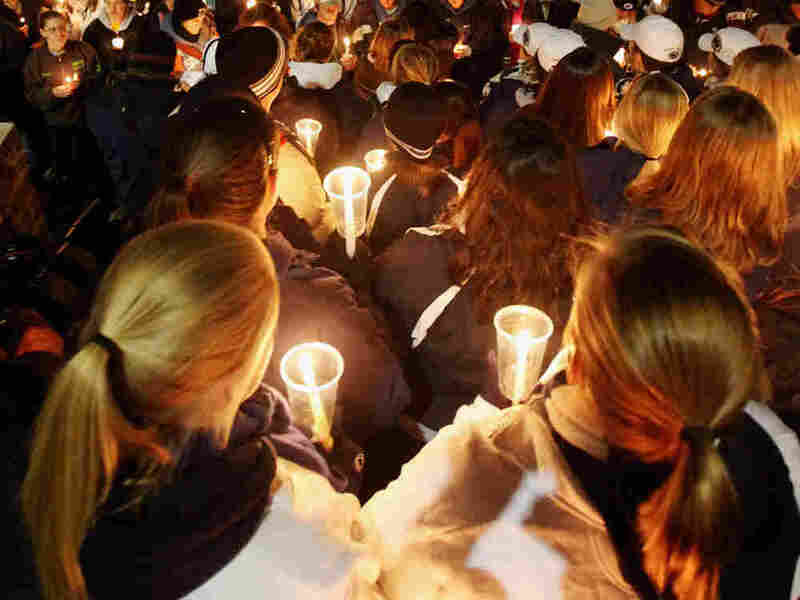 After allegations of child sexual assault at Penn State, many wondered why more people didn't see warning signs. Former FBI profiler Mary Ellen O'Toole says that many predators spend years grooming victims and their parents and gaining their trust. In many cases, she says, our stereotypes of what a sexual predator looks and acts like prove wrong. Those assumptions can raise doubts in the minds of parents, employers and friends and cause them to misinterpret the warning signs. Neal Conan talks with former FBI profiler Mary Ellen O'Toole and Dr. Harold Bursztajn, a forensic psychiatrist at Harvard Medical School, about the profile of a predator. A video showing a police officer in California methodically spraying pepper spray in the faces of seated protesters created an uproar on Friday. The peaceful anti-Wall street protesters, students at the University of California, Davis, had refused to dismantle their tents. While some argue the police lieutenant was just following orders and represents a wider problem with the way police confront protesters, Santa Clara University professor Marc Bousquet argues that misses the point. "The lesson of Lt. Pike is not that he's the victim of a lousy policy," he wrote. "The lesson is that even within a flawed system he could and should have chosen better." Bousquet joins host Neal Conan on this week's opinion page to discuss his piece "Sympathy for Eichmann?"